Welcome to the Quartermaster Archive. 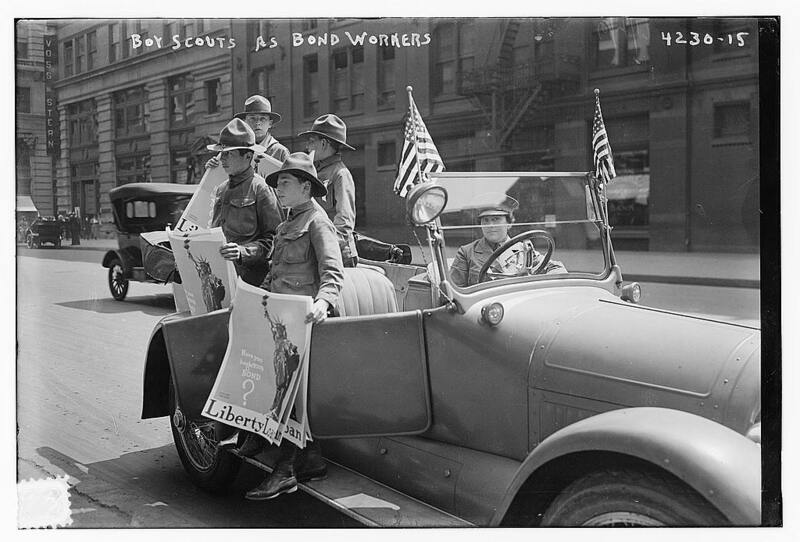 This post inaugurates a series of posts that will explore the Boy Scouts and American literature. 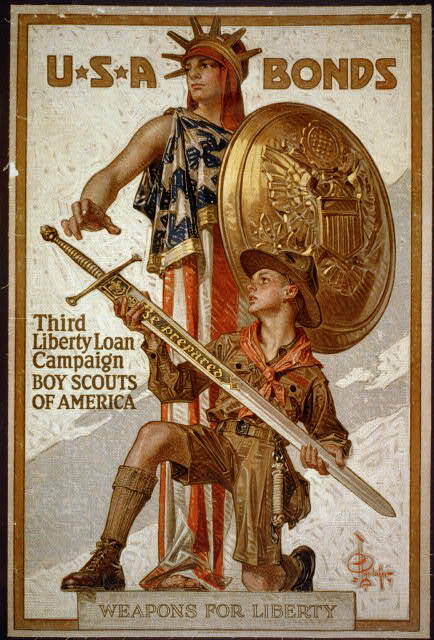 Founded in 1910, the Boy Scouts’ own origins reside in a unique literary period, characterized by the decline of realism and the ascent of modernism. The novella discussed here, which displays traces of the Boy Scouts’ early history, draws from both realist and modernist traditions. In her short novel, Pale Horse, Pale Rider, Katherine Anne Porter distorts journalistic realism with stream-of-conscious narration to dramatize the exhaustion and paranoia, the sickness and recovery experienced by a young woman, known only as Miranda, in Denver, Colorado, during the last days of World War I. The Armistice, however, is hardly the cause for celebration Miranda had hoped for. It may be the end of the war, but it is also the beginning of the Great Influenza Pandemic, which killed upwards of a hundred million people between 1918 and 1920. Wearied from her work with the Red Cross, Miranda resists a propaganda campaign that encourages citizens of Denver to contribute to the war effort by purchasing Liberty Bonds. Miranda’s refusal is a silent confirmation of her private fear that no collective effort, let alone Liberty Bonds, can conjure away the “funny new disease” she sees creeping across America and the globe. “And the thing was safe as a church.” Porter, Pale Horse Pale Rider. First published in 1936, Pale Horse, Pale Rider does not discuss the Boy Scouts explicitly, although their presence is detectable despite their absence from the story. Miranda believes that the peach pits are used to make explosives, although she is mistaken. 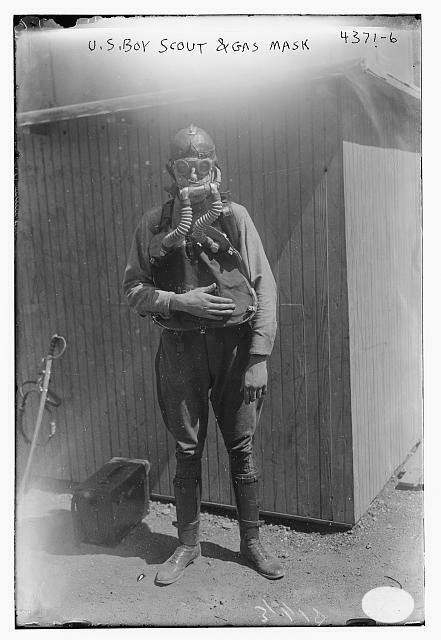 In the fall of 1918, the Boy Scouts filled over a hundred railroad cars with the peach pits that were necessary for manufacturing more than 500,000 military gas masks. I found a passage in a second novel that also discussed the Boy Scouts, peach pits, and gas masks. I think it was John Dos Passos’s Manhattan Transfer, but I’ve misplaced the source on my bookshelf. I’ll update this post when it is recovered.